Mercy & Wild are a brand spanking new fashion brand that are bringing together fashion, art and charity by commissioning five illustrators each season to design a t-shirt for a charitable cause, and I was one of them for their first season! 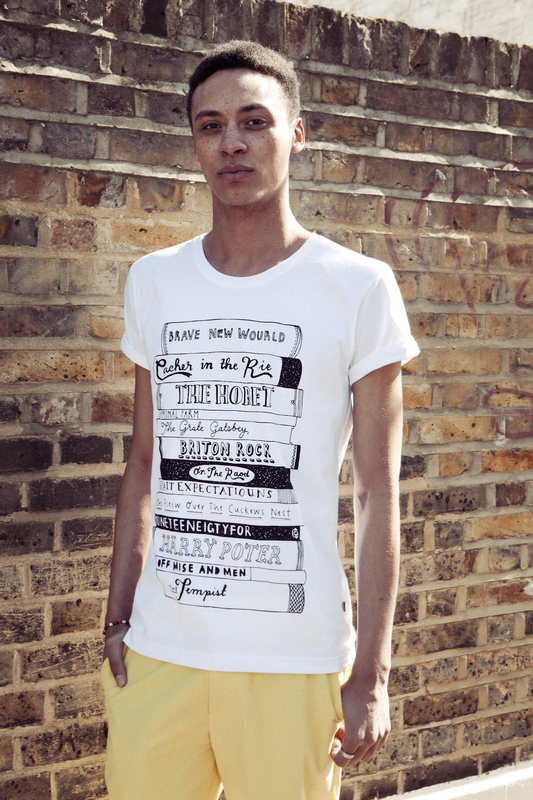 My design is a pile of cult and iconic books with the titles spelt wrong (a disarmingly large amount of people didn’t notice anything wrong until I pointed it out..) and 25% of the proceeds from the sale of the t-shirts and limited edition prints go to Dyslexia Action. 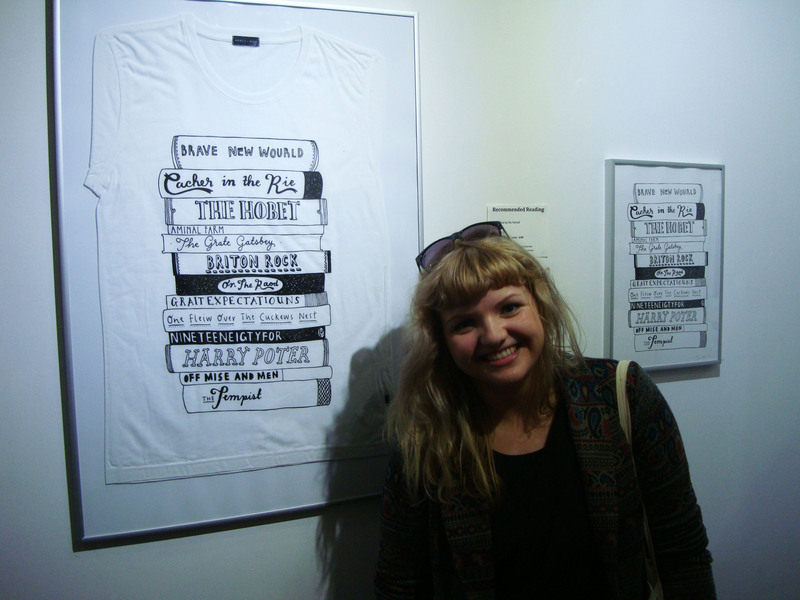 Can’t turn down an opportunity to indulge my twin loves of typography and books! 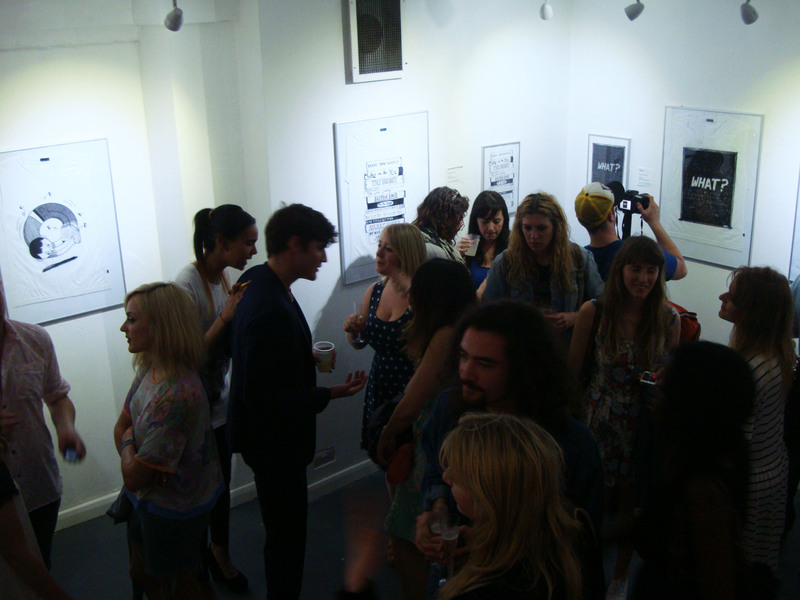 The launch party at ICN gallery last Wednesday was a success and I’m so pleased to be involved with the brand. More photos can be found on my website here.